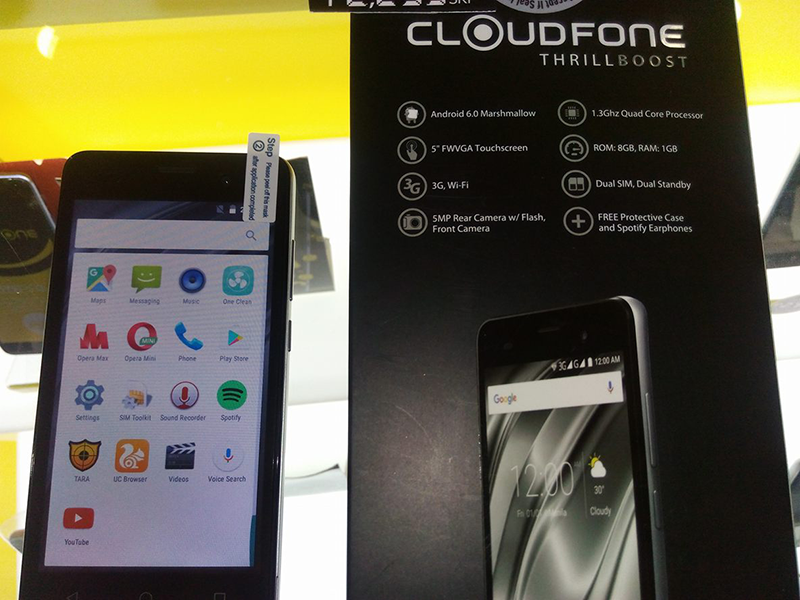 CloudFone Thrill Boost With 1 GB RAM And Marshmallow OS Spotted, Priced At 2299 Pesos! Home / cloudfone / mobile / news / CloudFone Thrill Boost With 1 GB RAM And Marshmallow OS Spotted, Priced At 2299 Pesos! Just in! CloudFone has a introduced another handset that could shake the budget smartphone segment, the Thrill Boost. 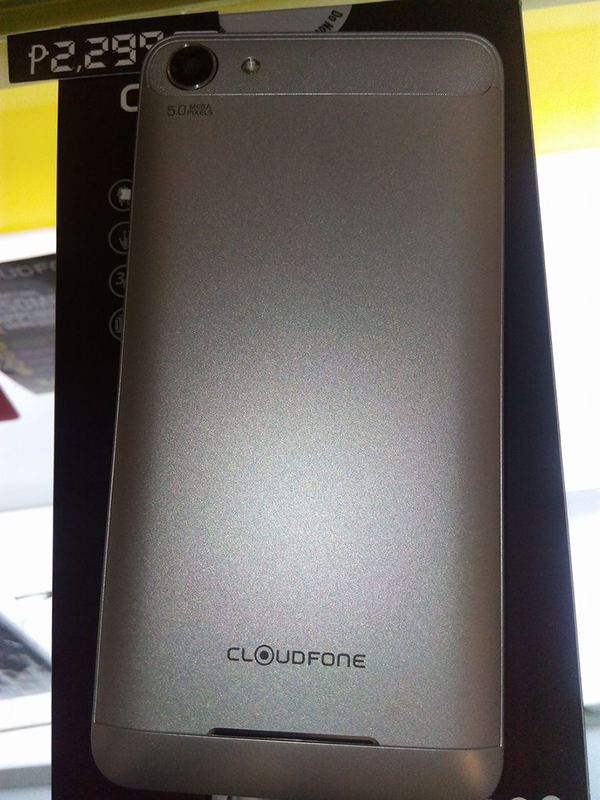 Like the rest of the new Thrill series, the CloudFone Thrill Boost is equipped with a stylish and solid metal casing. It's using a 5 inch FWVGA screen with a resolution of 854 x 480 pixels, 1.3 GHz quad core processor, ample 1 GB of RAM, 8 GB of expandable internal storage, and 2,000 mAh of battery capacity. The handset also packs a 5 MP main camera and a selfie camera. It also has connectivity features such as WiFi, 3G, Bluetooth, and dual SIM card slots. The phone runs with Android 6.0 Marshmallow operating system. 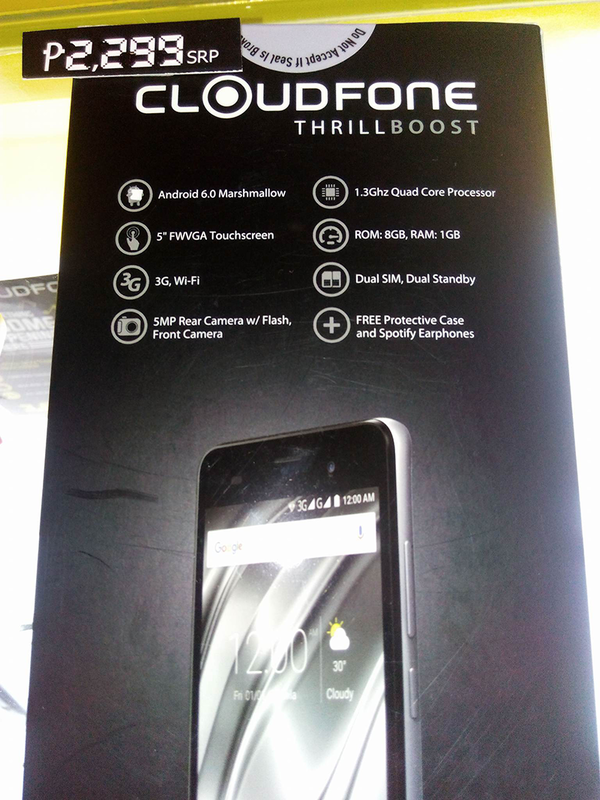 The CloudFone Thrill Boost is now available in most CloudFone kiosk nationwide w/ FREE case and Spotify earphones for 2,299 Pesos only. Given those specs for the price, we think this one is a solid deal! Agree? Thanks for the tip Jeffrey!